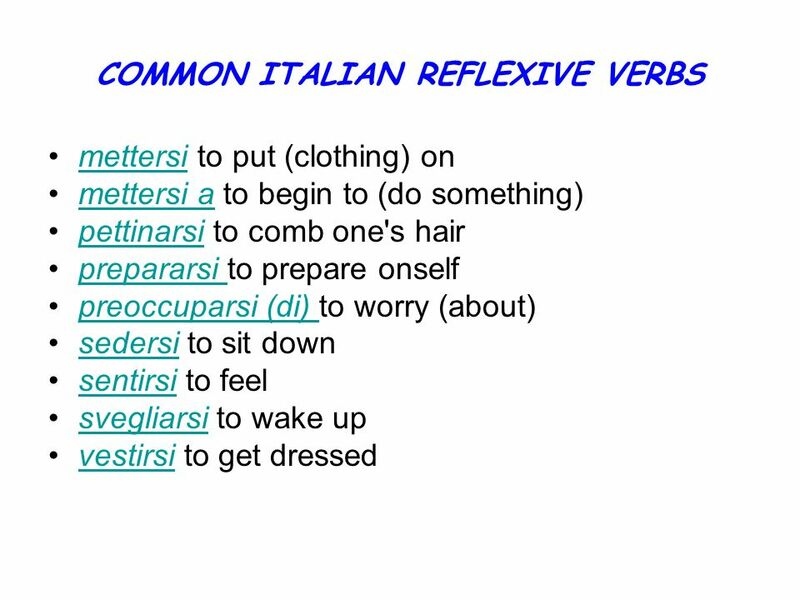 Download ppt "Italian Reflexive Verbs"
Page 80 Realidades 2 Reflexive Verbs. 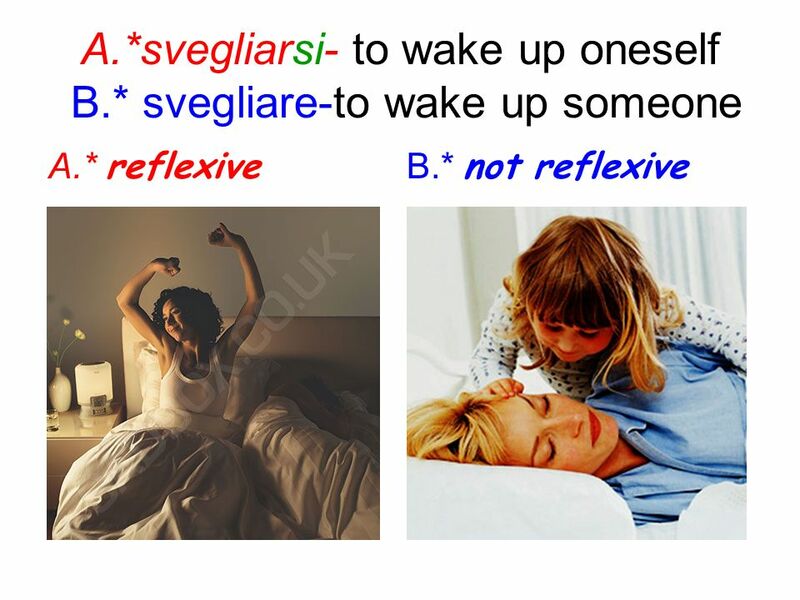 Reflexive (Present tense) Grammar Essential. Reflexive Verbs/Infinitives There are two categories for all infinitives. There are reflexive and non-reflexive. ANTE TODO SUBJECT REFLEXIVE VERB Joaquín se ducha por la mañana. 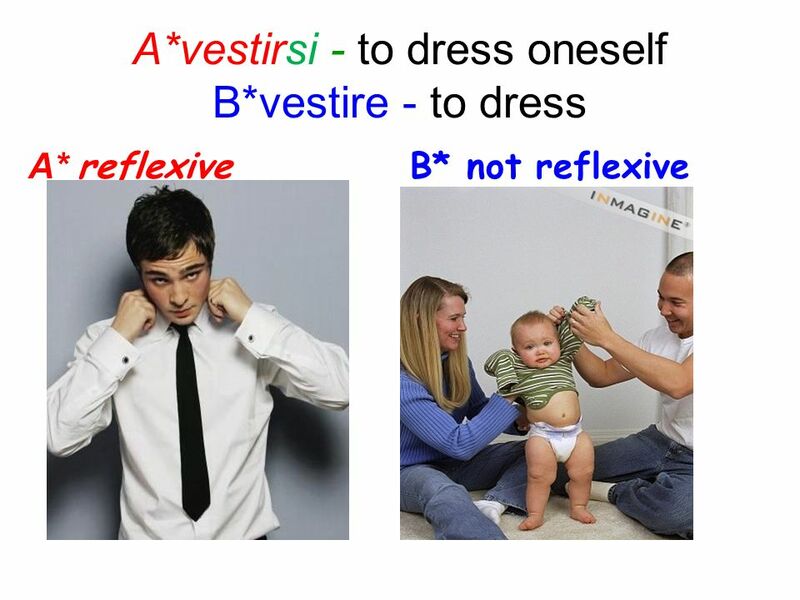 Reflexive Verbs Reflexive verbs are used to tell that a person does something to or for him- or herself. 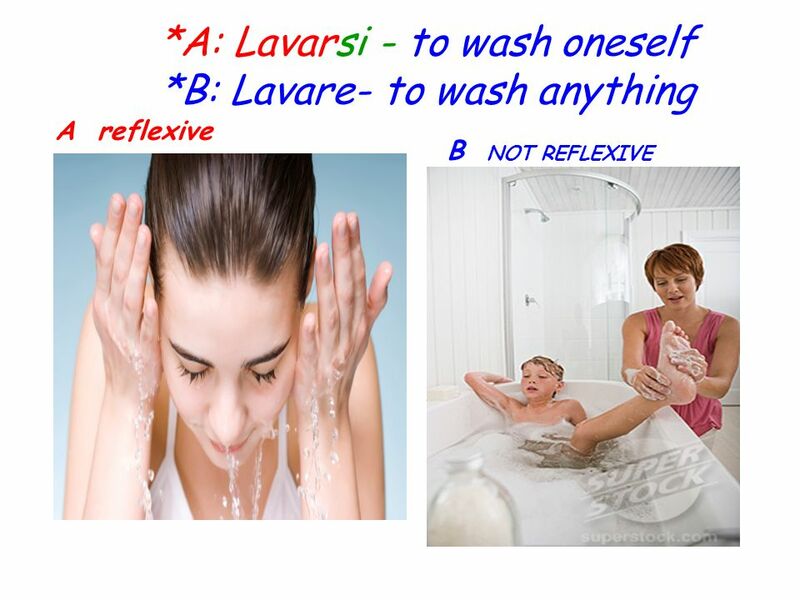 Reflexive verbs A verb is reflexive when the Subject and the Direct Object are the same. The action of the verb is reflected back onto the subject of the. 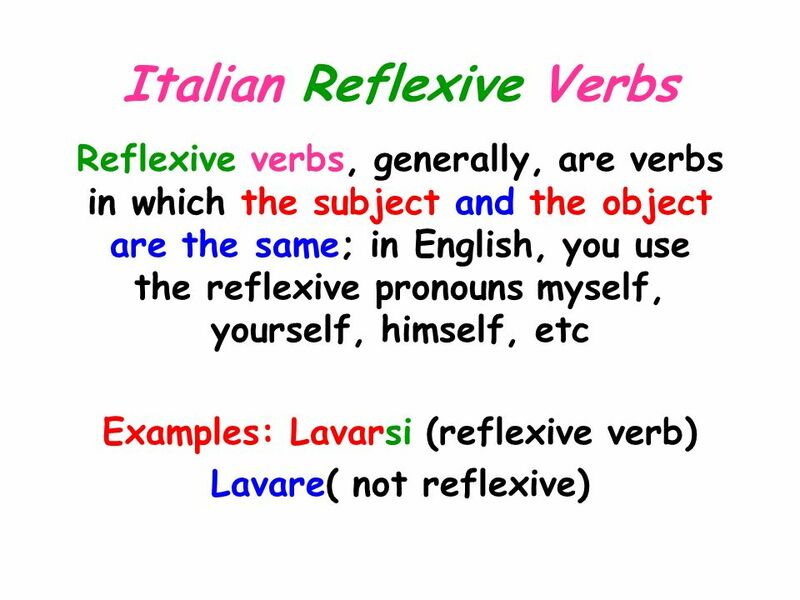 REFLEXIVE VERBS Les Verbes Pronominaux When to use a reflexive verb The action is performed by the subject on itself. The verb has a reflexive pronoun. 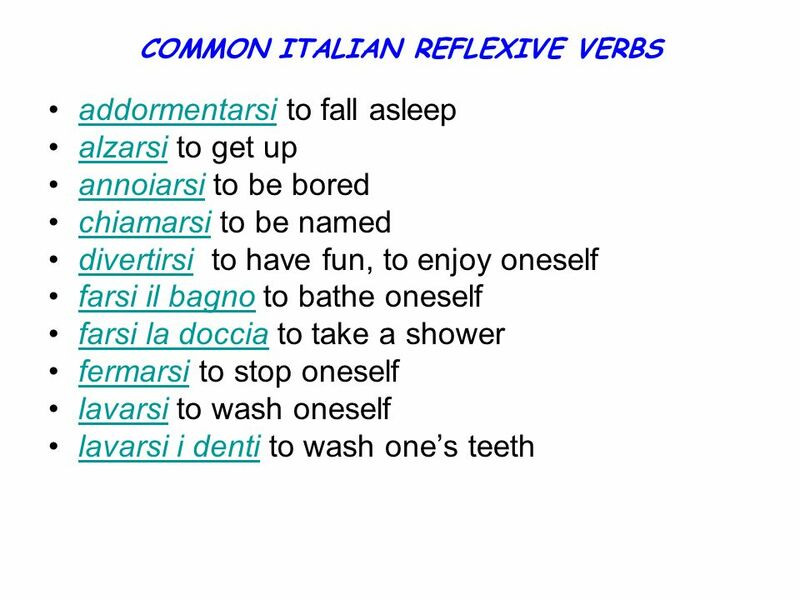 Reflexive VerbsReflexive Verbs Reflexive verbsReflexive verbs. 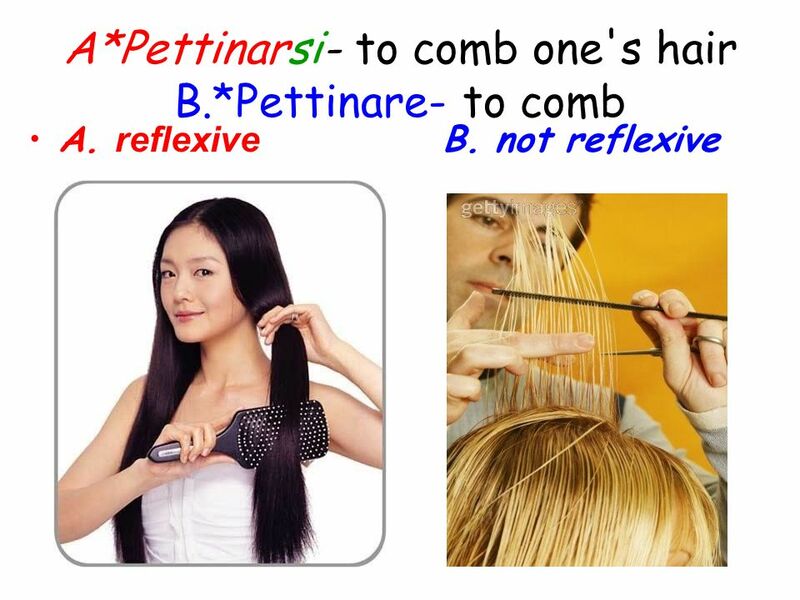 Punto di partenza A reflexive verb “reflects” the action of the verb back to the subject. 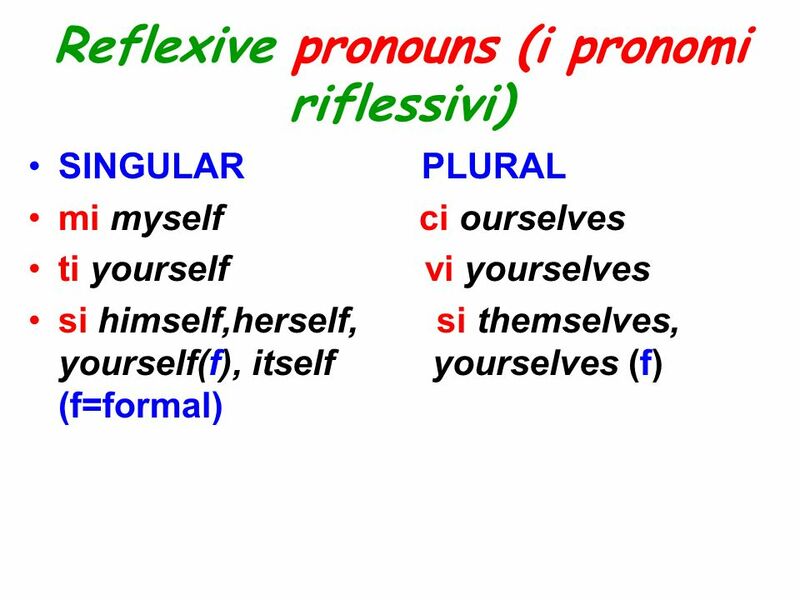 The infinitive form of reflexives ends with the reflexive pronoun. I verbi -are la coniugazione!. Io = I = the person who is talking Lui= he = a male we are talking about Lei = she = a female we are talking about ___. 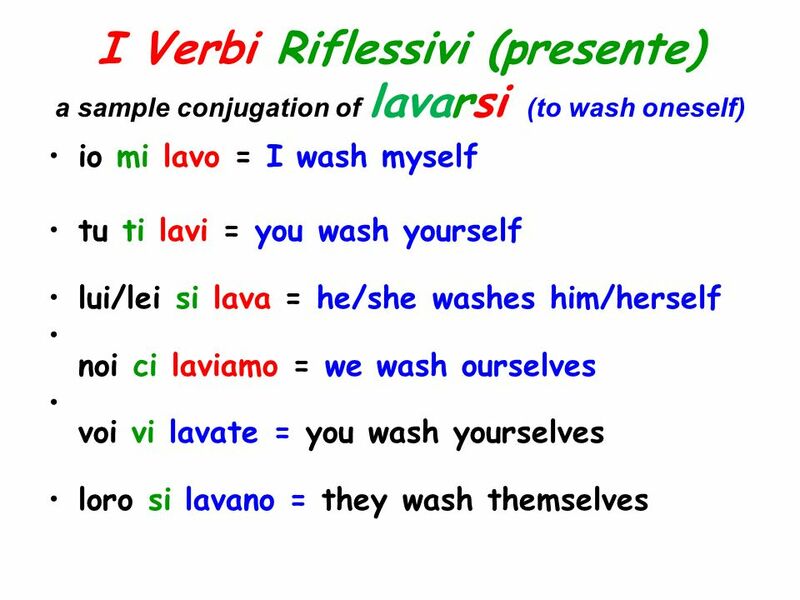 Italiano III – Reflexive Verbs A reflexive verb is an action that reflects on the person who is performing the action. In English, you recognize a reflexive. Capitolo 7 7.I Verbi riflessivi / presente. Verbi riflessivi / presente 1. Io mi chiamo Porfirio. (Literally: I call myself Porfirio.) 2. Come ti chiami? 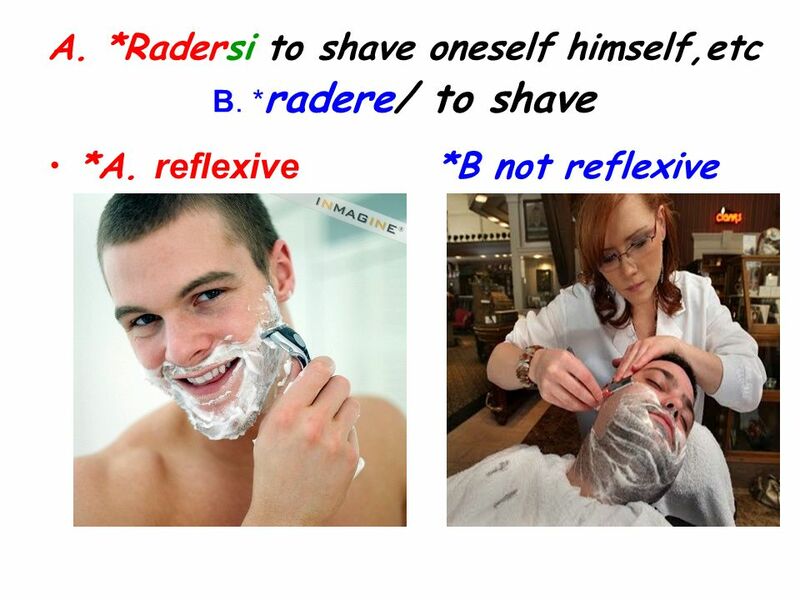 Español 7 Reflexive Verbs Reflexive verbs are used to tell that a person does an action to himself or herself.